And now to sing with Metallica--Ringo Starr! They're distributing the fury equally, seems to me. Sharing the fury. More oddball team-ups: Steven Tyler and Smokey Robinson are here to give us the big news. It’s Record of the Year time! Wow: Steven can sing a Smokey song! 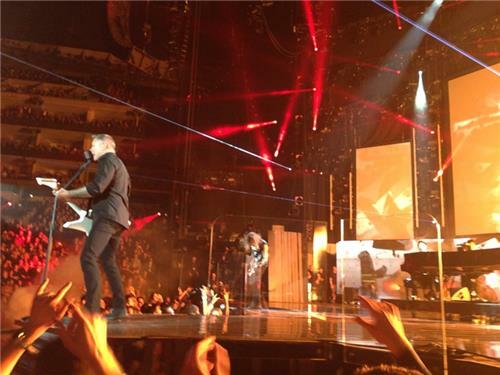 That was Metallica's first performance on the GRAMMY stage since the 33rd GRAMMY Awards in 1991. 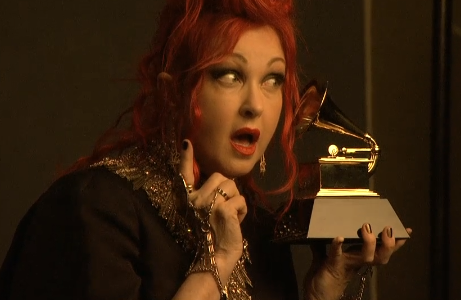 They've won eight GRAMMYs to date. Lang Lang last performed on the 50th GRAMMY Awards telecast in 2008. 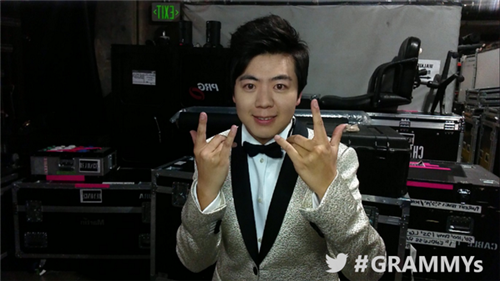 Lang Lang is also the GRAMMY Cultural Ambassador to China. 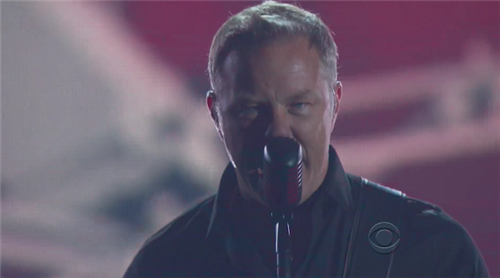 Should we call Metallica the GRAMMY Cultural Ambassadors to metal? Another horrible performance.. Metallica and this guy on the piano.. Can it sound any worse?? Gotz o change the channel. Daft Punk is the proud owner of a golden gramophone, and Record of the Year bragging rights. Who will they speak through? 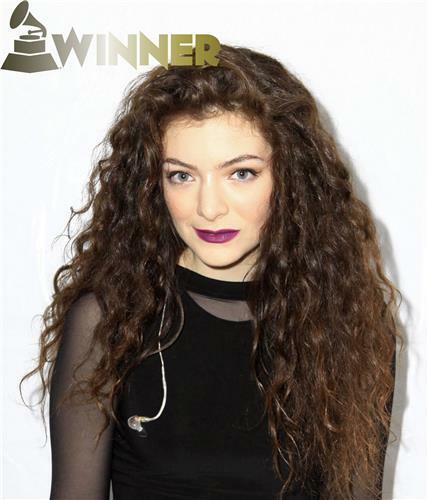 Lorde wins Song Of The Year for with Joel Little for "Royals"! Pharrell is channeling the robots' gratefulness. Pharrell could say anything on Daft Punk’s behalf right now and there's really nothing they could do about it. That was award No. 9 people. Just one more to go. 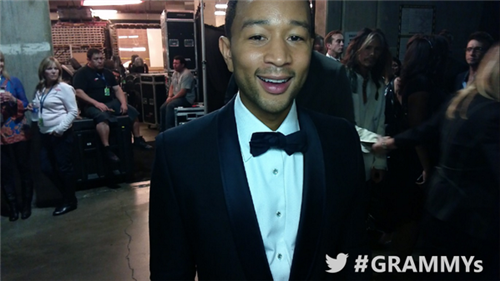 The night is zooming by -- 30 minutes left in the telecast! 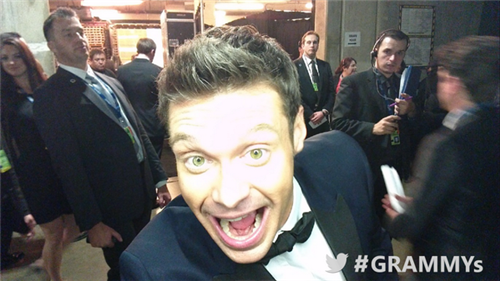 We're still in a rock and roll kind of mood. 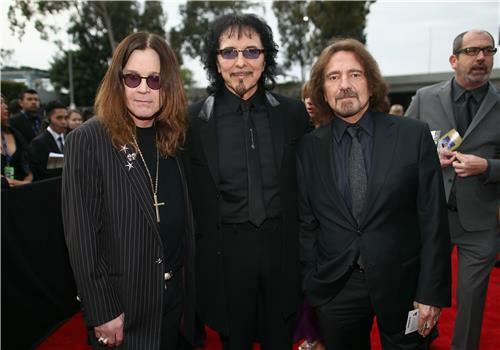 Earlier today we awarded the GRAMMY for Best Rock Album to Black Sabbath for 13. We’ve already seen so much, but there’s still so much to come. Tell me what you’ve liked best so far tonight, and what you’re most anxiously awaiting. It’s why we have commercials! Let’s hash it all out, do some mental cataloguing. is a good one featuring the one and only Madonna. 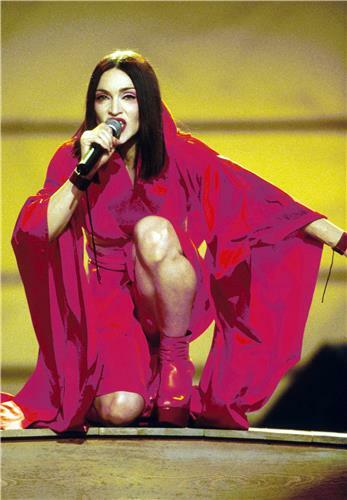 Madge first performed on the GRAMMY telecast on the 41st GRAMMY Awards in 1999. She sang "Nothing Really Matters." The Material Girl came back to open the show in 2001 and emerged onstage in a limo. Her door was opened by hip-hop artist Lil' Bow Wow. Madonna's most recent performance was at the 48th GRAMMYs in 2006 when she teamed with animated rock band Gorillaz for a performance of "Hung Up" in one of the more lavish performances in GRAMMY history. As much as I love Macklemore & Ryan Lewis, who were nominated for seven awards tonight, I’m especially psyched to see their soon-to-be onstage partner Trombone Shorty. He’s among the Crescent City’s coolest exports and a favorite artist of mine. You too? 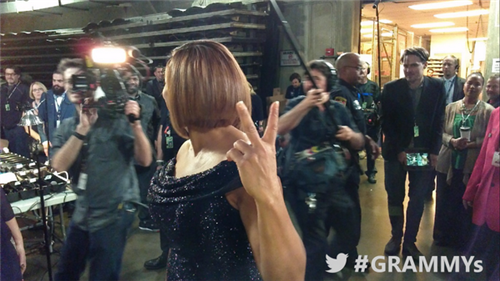 They’re getting a royal introduction from Queen Latifah. 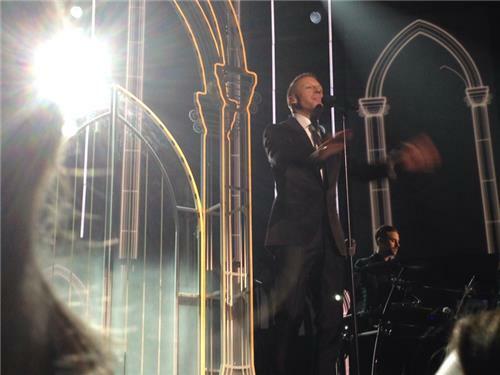 Macklemore performing their Song Of The Year GRAMMY-nominated "Same Love"
So far, Macklemore needs more Trombone Shorty.